One thing common between organizations involved in different types of businesses is that they all need people who are fully qualified to head their projects. Only highly capable people can handle crucial bread winning projects for organizations with the focus on profitability. 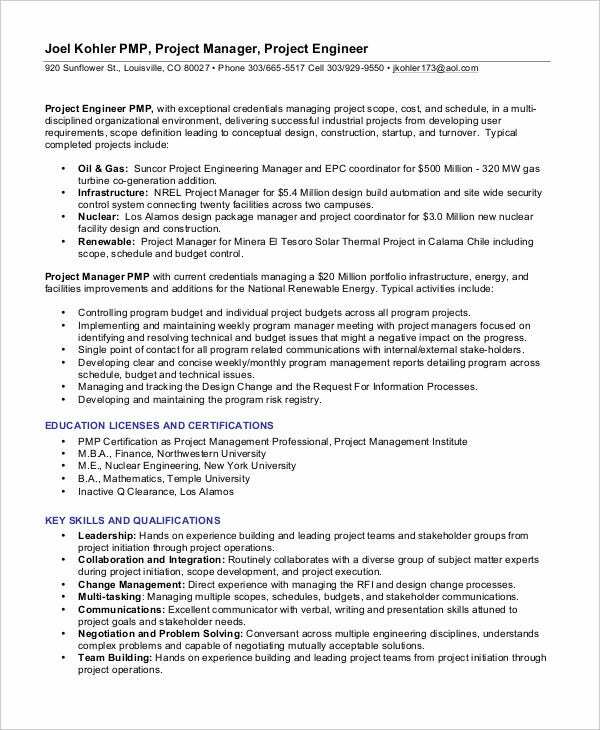 Project Management Resume Templates help organizations capture all relevant details about candidates who apply for Project Management positions. 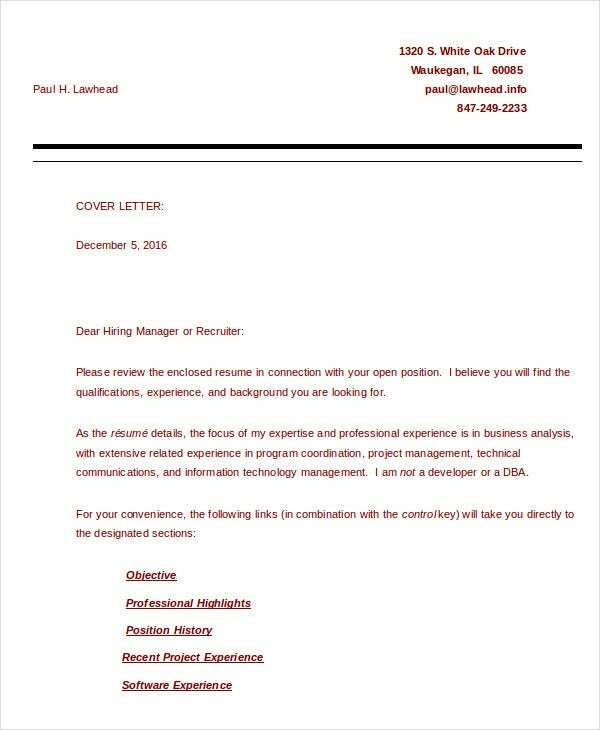 Executive Resume and Project Manager Resume are other resumes which are crucial for completion of won projects in a timely manner. 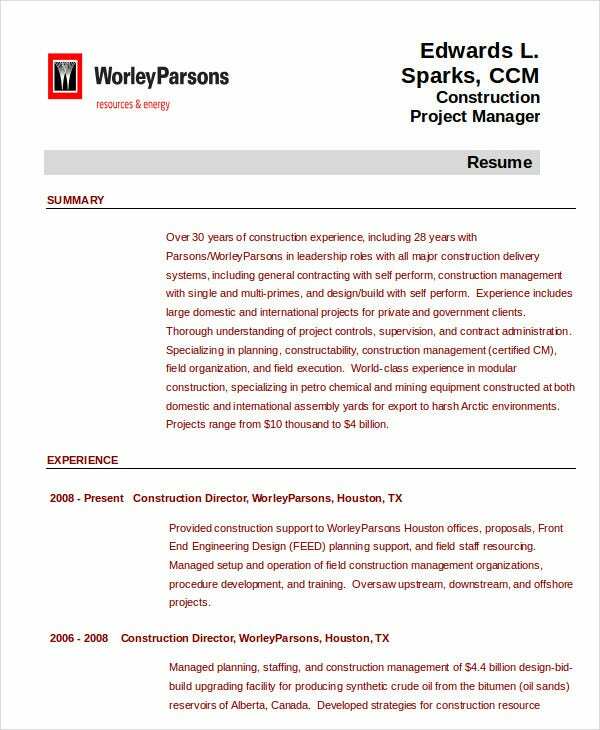 Construction Project Management Resume is a resume format that displays the background, educational qualification, relevance of experience, and skill sets of candidates who apply for a Project Manager position in the Construction industry. 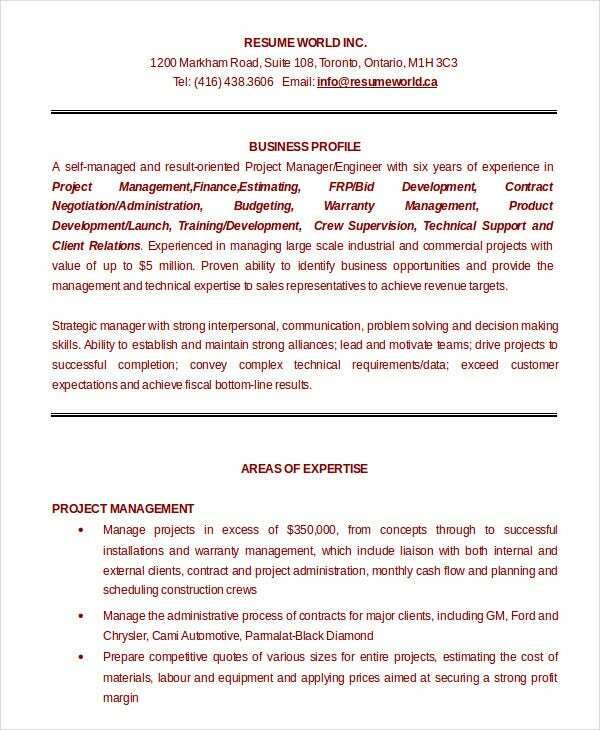 Finance Project Management Resume is a resume format that displays the background, educational qualification, relevance of experience and skill sets of candidates who apply for a Project Manager position in the Finance area. 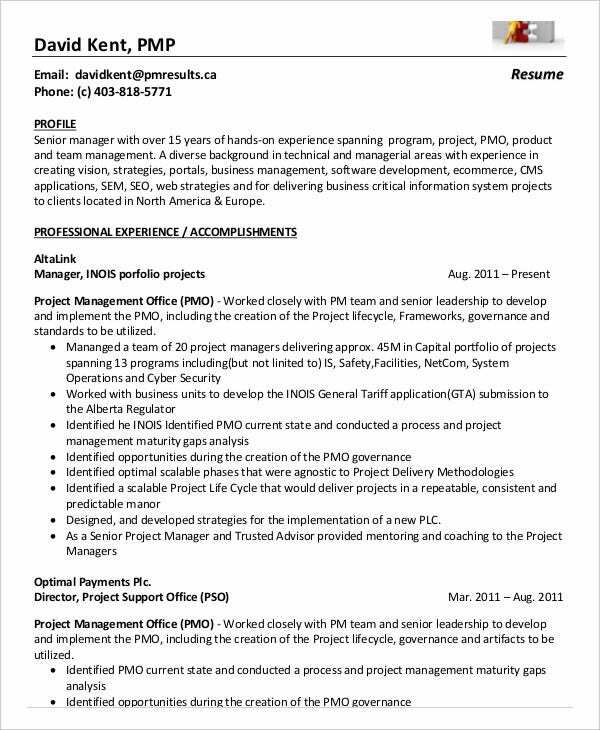 > How to use a Project Management Resume? 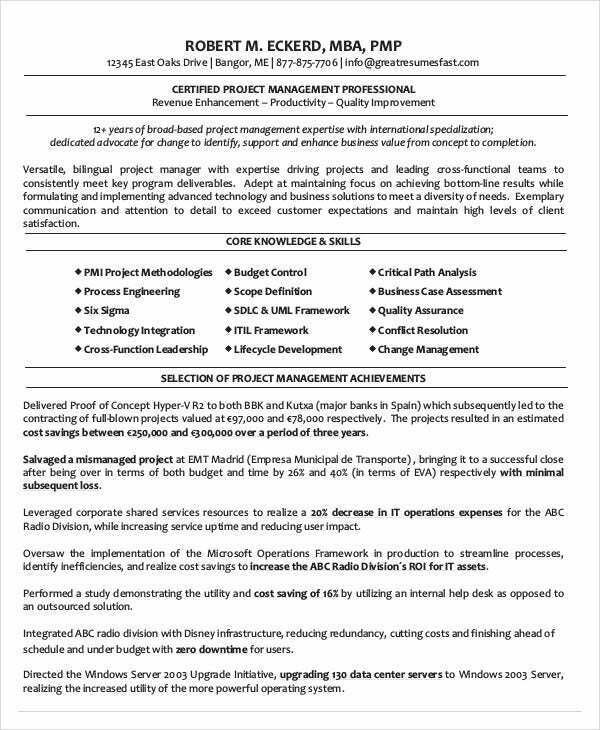 The Project Management Resume can be used to understand the background, educational qualification, relevance of experience, and skill sets of candidates who apply for a Project Management position in varying types of industries. It helps the candidates who feel they fit in a requirement advertised by an organization to project their suitability for the opening. 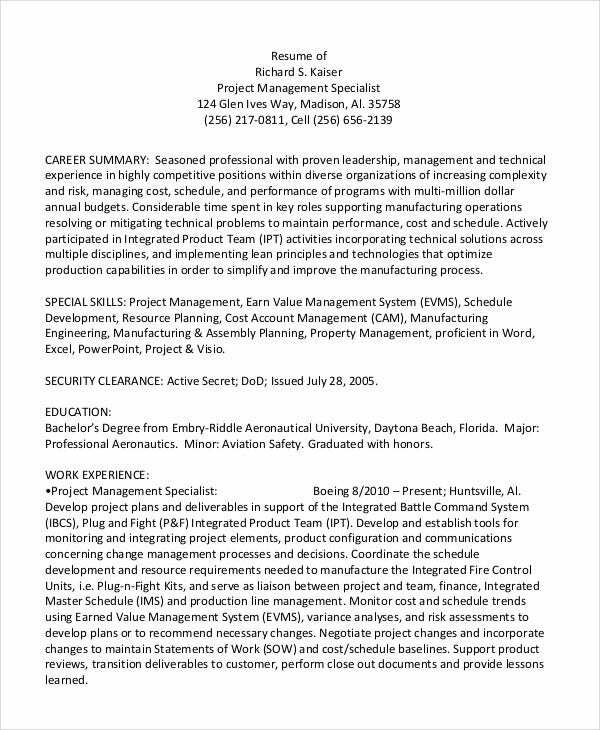 You can also see Electronics Resume Templates. 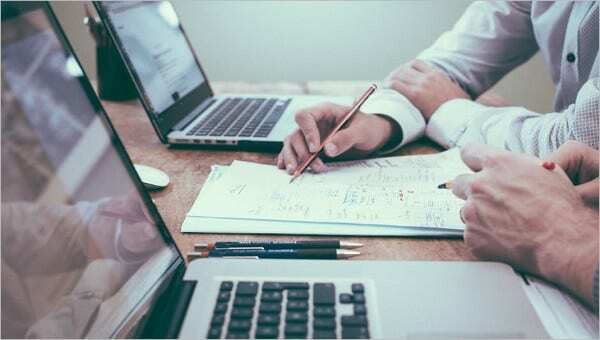 It also helps the Management teams of organizations to understand the candidature of people who are applying for the Project Management jobs they have advertised for. These resumes are simple formats which can be downloaded and used by prospective candidates by filling in details that are relevant to their career. 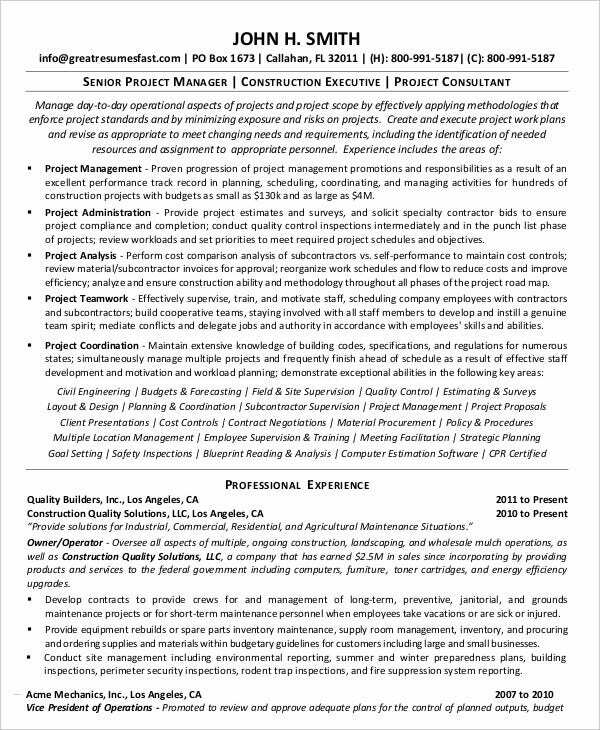 Senior Project Manager Resume is a resume format that displays the background, educational qualification, relevance of experience and skill sets of candidates who apply for a Project Manager position in any type of industry. 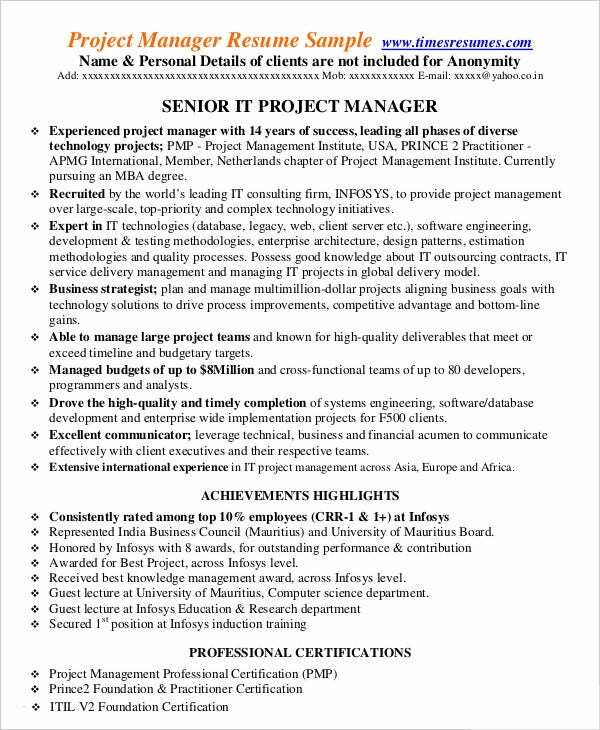 PMP Project Management Resume is a resume format that displays the background, educational and PMP qualification, relevance of experience and skill sets of candidates who apply for a Project Manager position in the IT Industry. You can also see Accountant Resume Templates. 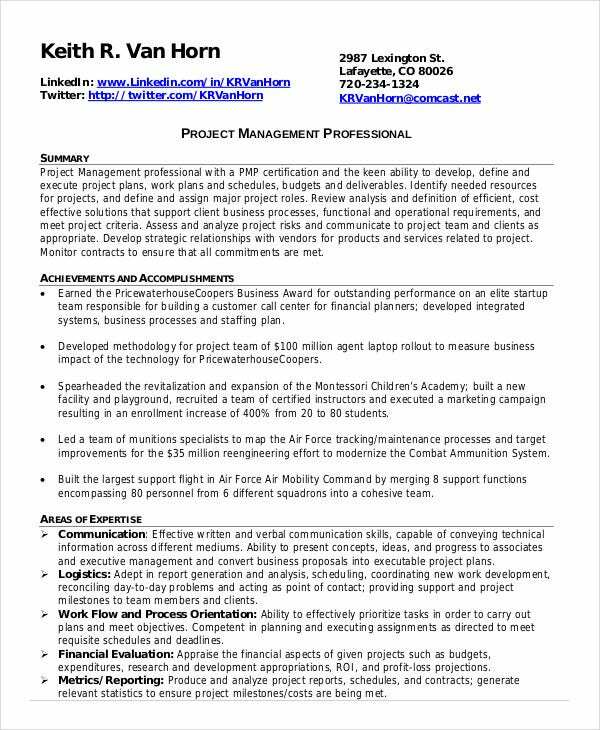 Business Analyst Project Management Resume is a resume format that displays the background, educational qualification, relevance of experience, and skill sets of candidates who apply for a Business Analyst position in a Marketing organization. 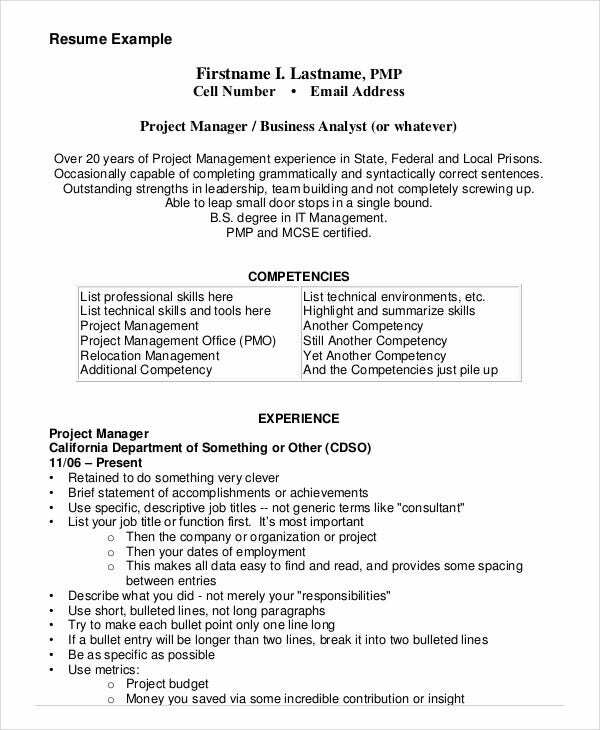 > Who benefits from Project Management Resume? Every Employee, prospective candidate, and organizations benefit from using Project Management Resume. Prospective Employees can use these formats for displaying their background, educational qualification, relevance of experience, and skill sets to the Management of the Company they are applying for the job. Existing Employees can use these resume formats to add value to their career in the future. You can also see Interactive Resume Templates. Management Teams in organizations benefit through these formats since these formats provide an opportunity for them to understand about the candidature of people applying for Project Management positions. Project Management Resume saves a lot of time and efforts for all concerned. Managing projects is a crucial aspect of any business. If projects won by organizations are handled in a perfect manner, business flourishes in a planned manner. For hiring the right kind of people with suitable skill sets and experience, project management specialist resumes are the key.